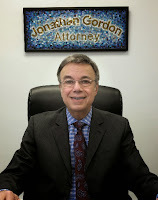 Many people do not realize that the phrase "anything you say may be used against you in a Court of Law" also applies to what they post on social media. It is remarkable what people post about themselves: pictures of themselves with the person with whom they are having an affair, pictures of themselves guzzling beer, party pictures that depict themselves in raunchy positions or gestures, etc. Also amazing are the posts that trash talk their estranged ex partner or spouse, or even their children (e.g. "my kids are such brats...".). This article is written a bit tongue-in-cheek, but the advice is quite serious and you should take it to heart because it could save you from a bitter defeat in Court. Please stop posting the intimate details of your life to the world, even to your friends alone. It is not a good idea. The person who wants to humiliate you in court is scavenging around for any bits of evidence that they can attach to a Certification as an exhibit. The person from whom you are trying to take custody of your child will use these posts to show the Judge that you are not the best parent (even if you are). Why give people ammunition to use against you? Is it that important to amuse your friends with your zany activities, that you will risk jeopardizing your court case? Trust me, it's not worth it. Interestingly, you should also know that according to Court rules, ethical standards and rules of evidence, once you post incriminating posts on social media, and you later are told (e.g. by me) that it's a bad idea, you can be slammed for tampering with evidence (also called spoliation). Even your own attorney is not ethically supposed to tell you to remove the post, because it is destroying "discoverable" evidence that your opponent is otherwise entitled to! For example, when you are getting divorced, as part of the discovery (obtaining evidence) process, you will receive Interrogatories (a zillion questions about everything you ever owned, bought, sold, did, or experienced, along with all of your health history, names of doctors, etc.). You will also receive a Notice to Produce documents and other things that might be important for the case. For example, you will be ordered to produce all audio and video recordings, emails, texts, reports, writings, documents, electronically stored data, diaries, etc., that might be useful at trial for either side. If you are told to produce all social media posts that you ever posted referencing your ex (for example), and you already took down those posts and you do not produce them, then you are non-compliant with that requirement. You are also lying to the court (because you have to sign a sworn certification that it is complete) by saying it does not exist, since it did exist and you made it disappear. If your ex's friend took a screen shot of that post before you deleted it, and it ends up as a Court exhibit, there goes your credibility. Another example of posting that is a bad idea, is evident in the news item that appeared on the Associated Press (AP) Twitter feed on July 4, 2017(https://apnews.com), about a woman who posted on Cragslist that she was looking for someone to poison her ex husband in Israel, using ricin. Small wonder that the FBI arrested her for using Interstate Commerce for the commission of murder-for-hire. Seriously? Wow. Not the best idea. But that is an extreme case. Your posts, however, may still hurt you. The message here is (1) posts are not private and they can be packaged and used against you in court; and (2) think about the possible long-term consequences of what you put out in public, things you say, show others, etc. As a general practice, it is not a good idea to air your private thoughts and fantasies and parts of your anatomy that should be covered, even if you are joking. It is probably ill-advised to post to social media if you are angry (or just feeling arrogant and superior), or if you want your soon-to-be ex to be jealous, upset or devastated by what you posted. Also realize that your emails and text messages will be printed out and used as exhibits or as evidence of you being verbally abusive, insulting, and crass in what you communicated. In some instances, your text messages and emails can be considered to be evidence of harassment or even evidence of terroristic threats and can be used against you in a domestic violence proceeding. Domestic violence is not always about physical violence. It includes (among other things) harassment, terroristic threats (e.g. death threats, etc. ), and stalking to name a few. The moral of the story is to think before you post: ask yourself if you might one day regret anything you write, say or post, if it is presented in Court. Would that weaken your case or your credibility? Will you wish you never said that (and left that voice mail), posted that photo, or texted that text? Oh, by the way: remember that your opponent (in court), whether your ex, or your ex's attorney will be sure to produce transcribed certified conversations you had with the ex that were tape recorded. It's better not to say anything if you are angry. And, rather than having to worry about what you posted, it's better to post only cute things about puppies, kittens or ducklings, and maybe about a trip you took to the county fair with your child. But photos of you with a beer bottle in each hand with half-dressed people sitting in your lap, posted on Facebook, is so unnecessary when you think of all the damage that even one photo can inflict on you. Even though you may be the best parent in the world, to the Judge it is an example of poor judgment on your part, and will hurt your credibility. Forewarned is forearmed. Good luck out there. Family Court can be a jungle of dangerous evidence lurking when it comes to your case. Be cautious, show good judgment, and think before you party too hard since there are always camera phones around. It is not paranoia if indeed, someone is out to get you. This is not a good time to be careless and cavalier, when someone is looking to catch you in a slip-up. Just saying.